What type of jobs do you hire for? Seven people work behind the scenes for every actor you see on our stages! …and the list goes on! The majority of our positions are seasonal. When do you hire for next season? Hiring decisions for most production and backstage positions occur in the fall for the upcoming season. Recruitment for customer service roles takes place in the spring. For general questions, please send us an email. Also, when applying, please submit your cover letter and resume by the closing date, ensuring that you have the job title in the subject line. Reporting to the Director of Audience Development, your primary responsibility will be to plan and direct the Stratford Festival's food and beverage operations. Your portfolio will include extensive food and beverage operations, with a staff cafeteria, licensed café, multiple bars and a robust catering business. The successful candidate will provide leadership to the Executive Chef and the Bar & Events Manager who together oversee the recruitment, training, and performance management of over 50 seasonal chefs and service staff. Develop and implement the annual plan for the Festival's food and beverage operations with an eye to optimizing revenue and enhancing the on-site experience. Represent the Festival to internal and external contacts on all facets related to its food and beverage offering. Negotiate vendor contracts, and when appropriate, coordinate with the Festival's corporate sponsorship team. Establish internal policies and procedures, working closely with the Finance department to implement purchasing and inventory controls. Hire, train and manage all staff and supervisors, motivating them to sales targets and service objectives. Lead all facets of alcohol sales including up-to-date knowledge of evolving regulations and all facets of facility licensing requirements. Contribute to the broader guest experience, working collaboratively with managers and staff across the Festival to deliver seamless enhancement to their visit. Minimum of 5 years management experience in the event, restaurant, or hospitality sector with proven leadership skills. Post-Secondary education in a recognized Food and Beverage/ Hospitality or related field, plus advanced knowledge of all regulations affecting the food service and liquor sales industry. Ability to build rapport and effective relationships with internal and external customers as well as staff. Ability to work in high pressured situations and apply solid problem solving skills. Proven ability to manage multiple projects and events simultaneously. Advanced financial acumen to ensure accurate forecasting and ongoing alignment to budgets. This full time position is located in Stratford, Ontario and will begin immediately. This position will require evening and weekend work, particularly through the performance Season. This position reports to the Director of Marketing and is part of the Marketing team. With more than one million unique visitors to its website each year and online sales representing 60% of annual revenues (ticket sales and fundraising), the Festival is seeking a Marketing Manager, Web who will oversee the web content and design with an emphasis on user experience and revenue optimization. Develop and oversee the implementation of the marketing plans for the Stratford On Film project. Detail oriented with the ability to manage multiple projects and priorities simultaneously. Preference will be given to candidates with marketing and communications experience in the cultural, tourism and/or entertainment industry. This contract position is located in Stratford, Ontario and will begin immediately until November 2020. Reporting to the Director of Audience Development, your primary responsibility will be to manage the Stratford Festival's retail operations, including all aspects of buying and merchandising. You will manage a seasonal sales-associate team to ensure that the Theatre Store operations are profitable, effectively operated, and support the overall brand and mandate of the Stratford Festival. Oversee the design of all customized product, the purchasing of all retail offerings, and determine the store layout and in-store displays. Negotiate and manage royalty agreements for production-specific merchandise. Prepare and manage the annual budget for the Theatre Store, ensuring that both revenue targets and expense parameters are achieved, and adjusting forecasts as appropriate. Analyze sales trends and respond by managing pricing, promotions, and all aspects of visual merchandising. Hire, train and manage all staff and supervisors, motivating them to reach sales targets through staff meetings, promotions, and incentive programs. Ensure that extraordinary customer service is delivered to Stratford Festival patrons through all retail channels. Minimum 5 years of related experience as a successful retail manager with proven leadership skills. Post -Secondary education in retail management or business. Strong retail sales skills with a track-record of using creative ideas to reach sales targets. Effective people skills with the ability to lead and motivate staff to meet and exceed sales targets. Strong analytical skills with an aptitude for interpreting sales data. Self-motivated with excellent time management skills. Online sales experience is an asset. The seasonal Gardener will work under the direction of the Head Gardener and will share in the responsibilities for maintaining the Festival's renowned gardens which contain extensive perennial beds, carpet bedding, roses, annuals and intensively maintained lawns and gardens. This position reports to the Assistant Manager Facility Services and is part of the Facilities team. Perform general grounds and plant maintenance activities on Stratford Festival properties / locations, such as planting, seeding, cultivating, mowing, edging, weeding, trimming, pruning, raking, spraying, and fertilizing. Participate in new plant bed and landscape construction projects as required. Power washing and sidewalk /parking surface maintenance. Remove leaves, trash and debris from grounds to maintain an attractive image of the Stratford Festival. Fertilize lawns and shrubs and practice weed control in flowerbeds and lawn as instructed. Operate and maintain sprinkler system, cleaning, repairing, adjusting and replacing sprinkler heads as required. Remove snow from walks and steps with a shovel or snow blower as appropriate for amount and location of snow. Keep sand and de-ice product on walks and steps during icy/slippery conditions. Recommend repairs, maintenance and operations as related to gardens, grounds, fixtures and equipment. Perform related tasks as required. Respond in a professional, polite and helpful manner when liaising with patrons and staff. Adhere to the Festival's Health and Safety Policy and Procedures guidelines. Comply with safety and other emergency practices. Inform the Head Gardener of any condition observed to be unsafe. Maintain exterior fixtures as required. I.e. to refinish/paint benches, handrails, planters, etc. Perform Head Gardeners and other related duties within the job classification as assigned. A postsecondary degree or diploma in horticulture is required. A minimum of two years of hands on experience working in the field of horticulture is required. Experience with pesticide-free gardening methods would be considered an asset. Knowledge of perennials is essential given the Festival's use of over 300 varieties. This job demands physical dexterity and the ability to lift up and carry up to 50 lbs. Strong communication and interpersonal skills are essential given frequent interaction with the public. The successful candidate will have hands on knowledge of each of these aspects of gardening. Experience with pesticide-free gardening methods would be considered an asset. Must possess a valid Ontario driver's license. This seasonal position is located in Stratford, Ontario and will begin immediately. This unionized position is a seasonal placement beginning immediately and ending in November 2019. Seasonal recall each year is generally for an 8-month period from April to November. This position reports to the Director of Production and is a member of the Technical Management Team within the Production Department. Preparation of initial cash flow and subsequent forecast summaries of financial accounts. Preference will be given to applicants with experience creating new productions working in a repertory environment. A degree in Theatre Production is considered an asset. This full time position is located in Stratford, Ontario and will begin September 3, 2019. Part time work may be required in July/August 2019. The Stratford Festival is North America's largest classical repertory theatre company. Each season, we present more than a dozen productions in four distinctive venues (one of which is currently being rebuilt). We produce acclaimed productions of Shakespeare's plays, other works from the classical repertoire, and contemporary dramas and musicals, while actively fostering and supporting the development of Canadian theatre. Embracing our 66-year heritage of tradition and innovation, we seek to bring theatre alive for increasingly diverse audiences, pursue new artistic avenues, and expand the scope and reach of our work beyond the stage itself. Thus we also present the Stratford Festival Forum, conduct our artistic R&D program, the Laboratory, and are midway through a ten-year project - unique in North America - to film all of Shakespeare's plays. With an annual budget of $61 million, the Festival earns 95% of its revenue through ticket sales as well as ancillary and fundraising activities, making it one of the most self-sufficient cultural organizations on the continent. We have built an $80-million endowment fund to support our operating activities, including training, education outreach, play development and capital projects. Our new $70-million Tom Patterson Theatre Centre will open in time for our 2020 season. This 600-seat state-of-the-art facility will both affirm and vastly enhance the Festival's position as a world leader in live theatre. By attracting the finest talent from Canada and the world, and by providing the conditions and training that enable artists to achieve their most courageous work, we immerse our audiences in a theatregoing experience that is innovative, entertaining, and unsurpassed anywhere in the world: one that is deeply relevant to, and reflective of, their lives and communities. With your passion for the performing arts and your desire to become part of the Stratford Festival's vibrant senior leadership team, you will have a positive impact on the organization as its new Senior Director, Marketing & Audience Development. You will provide sound leadership, strong and creative management, and coordination of all marketing and audience development strategies to achieve or exceed agreed goals. Our patrons are our lifeblood - they purchase tickets, make donations, and contribute to the communal experience of live theatre by reacting to the work of our artists. The role of the Senior Director, Marketing & Audience Development is to increase the public profile of the Festival, to introduce new patrons to our work, and to improve patron retention rates. - Direct and coordinate marketing functions designed to meet annual ticket sales targets and sponsorship revenue. - In collaboration with the position's key direct reports, develop and oversee the implementation of integrated marketing plans designed to meet ambitious revenue targets. - Formulate the profile of the Festival's target markets. - Identify and develop new customers, build loyalty among existing customers, and win back lapsed customers. - Develop and drive the evolution of a brand strategy that supports the Stratford Festival's strategic goals and objectives. That strategy has three layers: the overarching brand, the annual season, and the individual productions and events, including the Forum, the Lab, our Stratford Festival On Film series and our touring and outreach activities. - Articulate a clear value proposition associated with the brand and ensure the proposition is integrated into the work of the marketing, audience development, publicity, sponsorship, and communications teams. Ensure compelling copy for marketing, communications, and sales materials. Review all marketing materials to ensure integrity and consistency with brand and value proposition. - Oversee and direct the evolution of the Festival's web and digital presence with the goal of optimizing revenue. 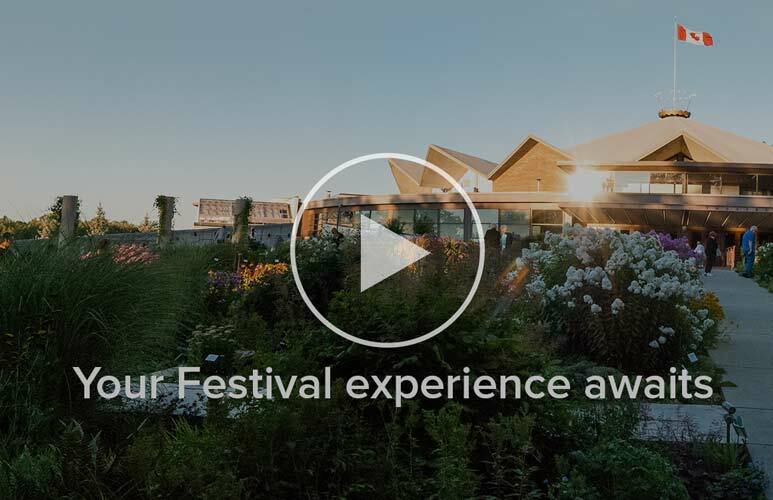 - Create an online experience that reinforces the Festival's brand, builds relationships with existing patrons, and connects with new and diverse patrons. - Develop plans to curate and shape a patron experience from beginning to end that will optimize revenue and encourage loyalty. The patron experience includes all marketing touch points and the on-site visit. Develop plans to capitalize on the new Tom Patterson Theatre Centre to elevate the patron experience. - Analyze the effectiveness of marketing initiatives and costs, continually improve bottom-line results, and create benchmarks and success measurements for marketing programs. - Develop and oversee marketing budgets. - Consult with the Artistic and Executive Directors and others in the Director's Office through the season planning process. Provide feedback on programming choices based on knowledge of target markets, competitive offerings, emerging social issues, and internal competencies. - Lead the development of the "key art" to promote each season and the individual productions, events, and experiences. Liaise with the Artistic Director and the Executive Director on the creation of that key art. - Oversee corporate sponsorship activities and liaise with the marketing team on sponsor recognition and identification of new sponsorship opportunities. - Maintain regular contact with internal and external stakeholders; work to ensure consistent communication towards developing a common brand and reputation. - Forge and nurture connections with local, provincial and national tourism agencies, and with other cultural organizations within Canada and beyond. - Prepare and administer marketing plans in relation to government funding opportunities. - Promote, develop, and maintain positive relations with partners, vendors, and distributors. - Report on marketing campaign and sales/revenue achievement at Board and Finance Committee meetings. Serve as staff lead to the Marketing Committee by both reporting to the Committee and soliciting its feedback and advice. - Regularly analyze sales data and competitive activity and share with the Festival senior team, together with observations and recommendations. - Liaise with the advancement department on the development of the annual communication/solicitation plan and review materials to ensure they are consistent with brand standards.- stablish, implement, and evaluate short- and long-range departmental objectives, policies, and operating procedures to ensure goals are met or exceeded. - Promote a culture of high performance and continuous improvement; develop staff using a supportive and collaborative approach. - Be responsible for staff performance and development goals, establishing priorities and conducting annual performance reviews. - Adhere to, implement, and enforce the Stratford Festival Health & Safety Commitment and Procedures, and ensure that safe work practices and policies are enforced and supported. - Minimum 10 years' relevant and progressive senior-level experience in general management in a relevant B2C business, preferably in the arts, entertainment, or tourism industries. - Experience in building an organization's brand identity through strategic planning and execution. - Exceptional track record in planning marketing strategies, advertising campaigns, and e-marketing programs. - Strong understanding of integrated marketing programs that strengthen the brand, connect with key stakeholders, and inspire ticket sales and affiliation. - Deeply versed in and extremely comfortable with digital and experiential marketing. - Experience in corporate sponsorship sales and cultivation. - Established senior contacts with relevant local, national, and international communities considered an asset. - Demonstrated knowledge of contracting, negotiating, and change management. - Significant and exceptional project management skills and experience. - Experience in building, mentoring, and coaching a team of functional experts. - Alignment with the Stratford Festival's mission, vision, and values. - Knowledge of audience development best practices. - Demonstrated experience in budgeting and financial forecasting. - Superior communication skills, both verbal and written. - University degree or equivalent education and experience in a field related to business or marketing. Master's degree preferred. - Highly articulate, with exceptional team-building skills. - A passion for theatre. - Strong organizational management skills: detail-oriented, strategic, creative, entrepreneurial, and disciplined. - High professional standards, with an acute attention to detail. - A practical, calm, and creative problem solver and strategic thinker, with the flexibility to react nimbly to the unexpected. - Ability to work well under pressure, independently or as part of a team. - Results-oriented personality with a collegial management approach and high level of integrity. - Disciplined; accepts ownership with a hands-on approach. The Stratford Festival is an equal-opportunity employer, committed to reflecting our city's and country's diversity. We encourage candidates of all backgrounds to apply. General auditions are held annually across the country, usually in February or March. Members of Canadian Actors’ Equity are given priority. Youth auditions are held in the fall. Please check the website in September and October for postings about youth auditions. Actors selected to audition are asked to prepare two contrasting classical speeches, at least one Shakespearean. Each monologue should be no longer than two minutes. As audition slots are limited, we rarely see anyone who has auditioned in the previous 2 years. If you would like to be considered for an audition, and are eligible to work in Canada (citizen, permanent resident, or work permit) please send your headshot and resume at any time by email. Please include "General Auditions" in the subject line of your email.